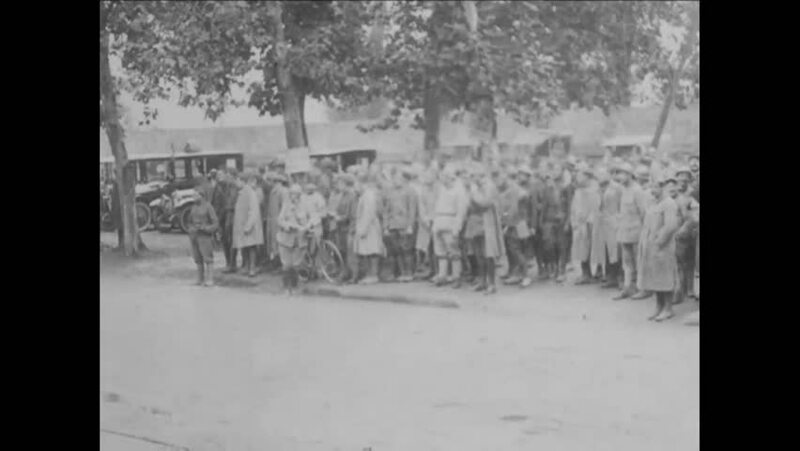 CIRCA 1918 - President Poincare addresses French troops. hd01:09CIRCA 1919 - Troops of the 2nd Division, including a military band, march in a parade on 5th Avenue in New York City. hd00:47CIRCA 1919 - A panorama shows the AEF Quartermaster Corps' warehouses and camp in France. hd01:26CIRCA 1918 - A Filipino soldier is buried at Bonvillers in France in World War 1.
hd00:32CIRCA 1940s\xD1A man releases bass into a fish hatchery, and women feed bred deer in a forest in Morgan County, West Virginia. hd00:37CIRCA 1918 - German soldiers are drilled in jumping, out in a field and using jump boards. hd01:26CIRCA 1950 - Tank leaders participate in a mock attack and a rescue during training at Camp Roberts in California. hd00:55USA, CIRCA - 1962 - Twenty five years prior, Sam Snead and Ralph Guldahl played in the US Open gold tournament.